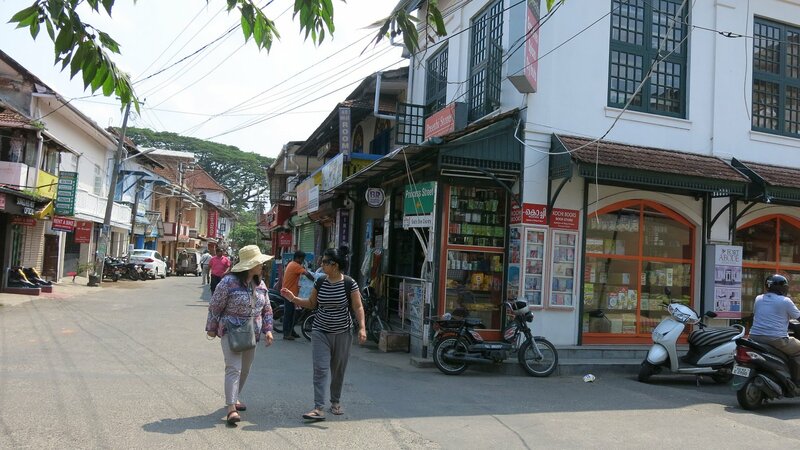 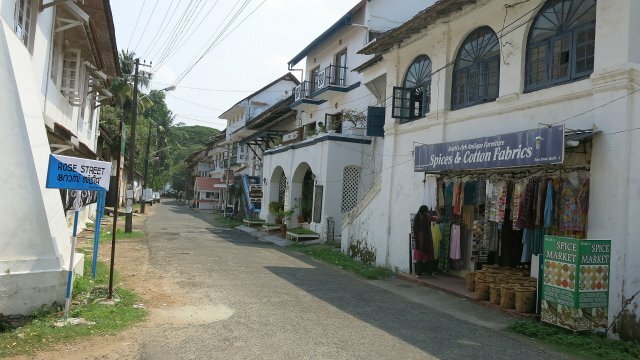 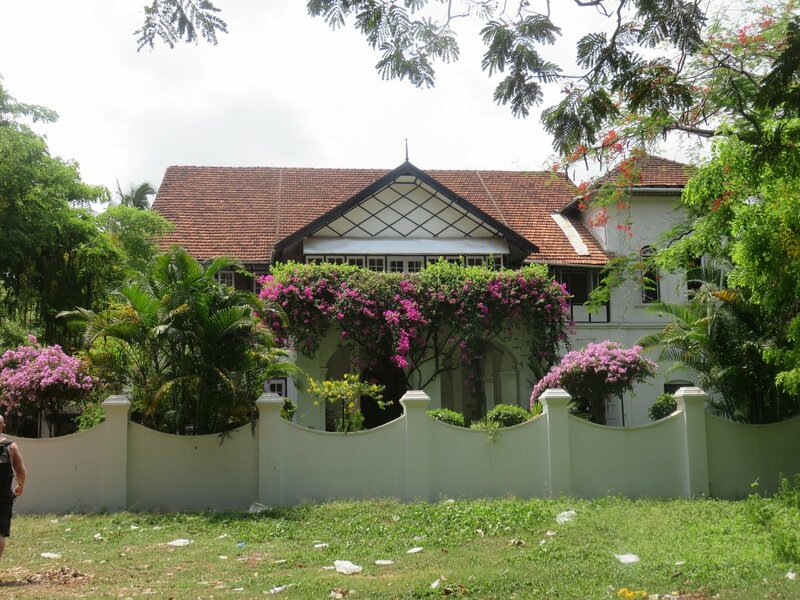 After our visit to the Catholic churches we strolled along heavily treed streets peering into store and fronts admiring the diverse architecture of the private homes and commercial buildings. 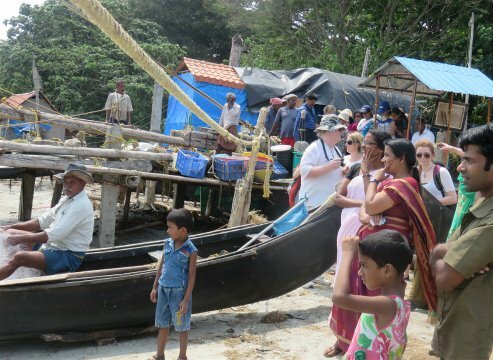 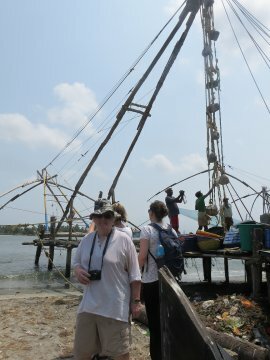 Arriving at the beach area we had a closer look at the Chinese Fishing Nets. 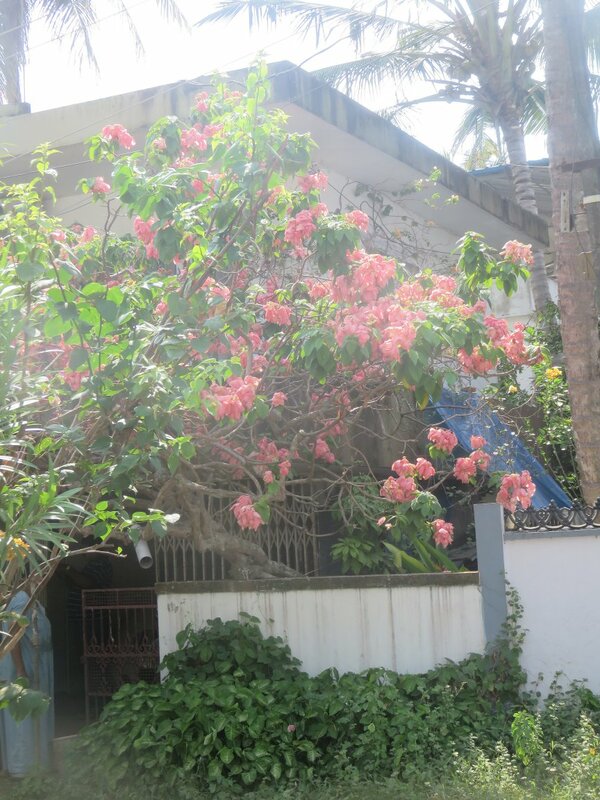 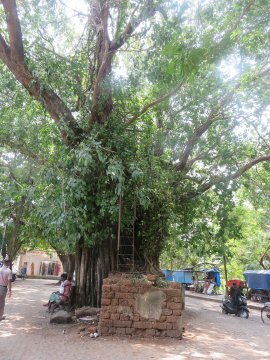 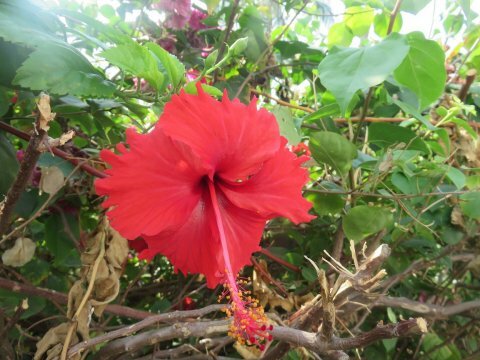 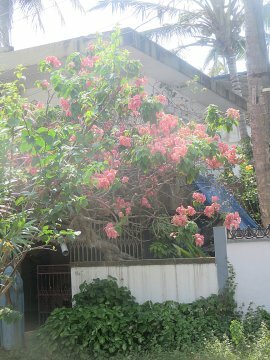 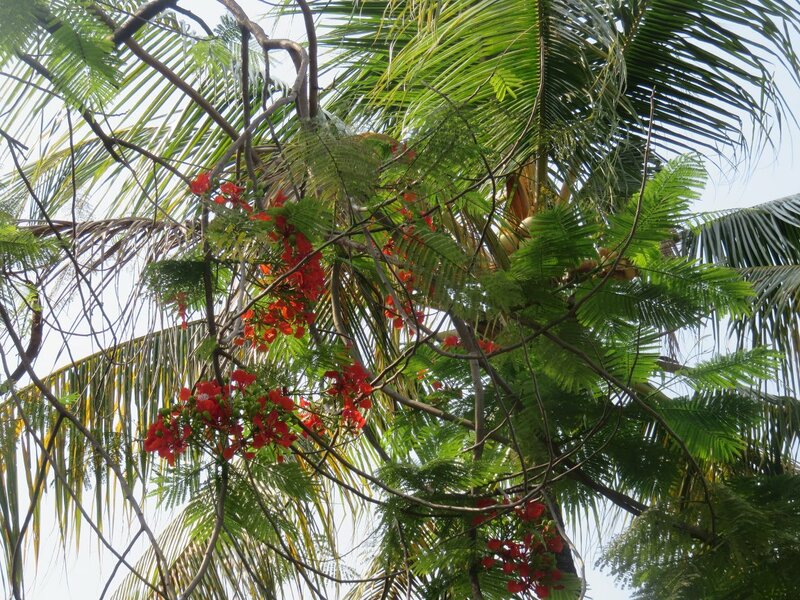 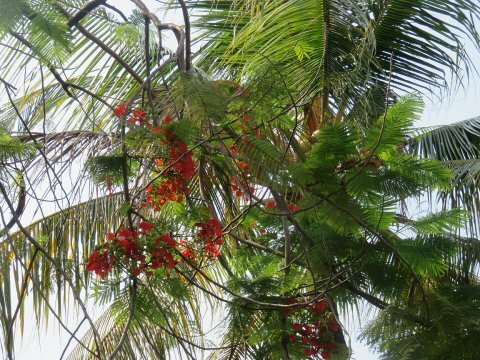 They are believed to have been introduced in Kochi by Chinese explorer Zheng He, from the court of the Kubla Khan. 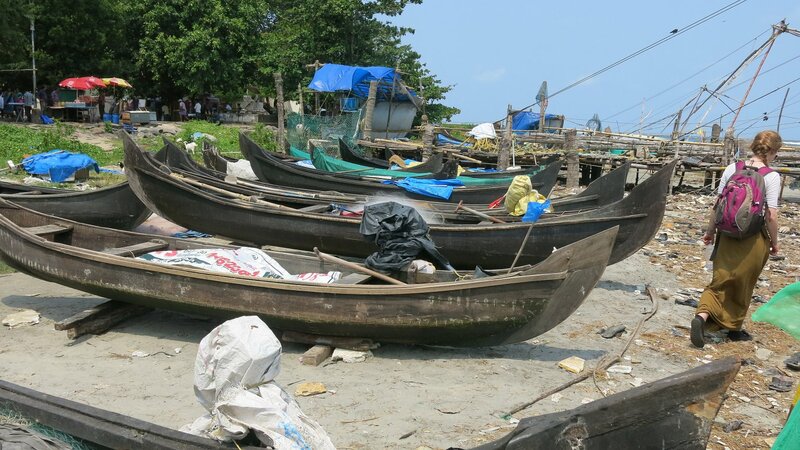 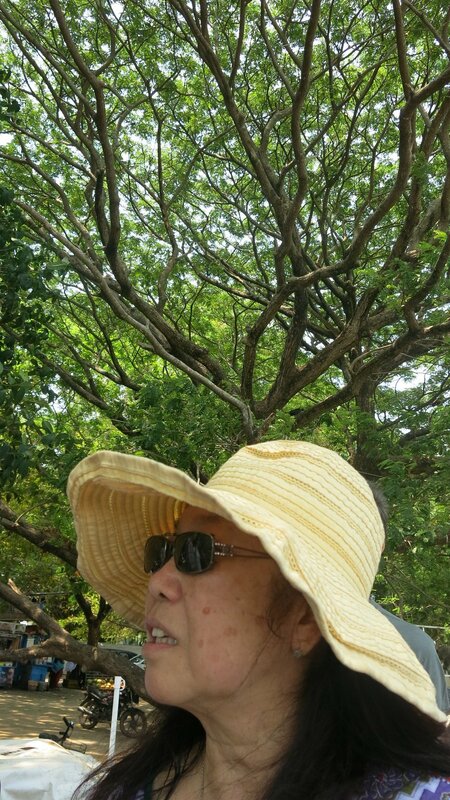 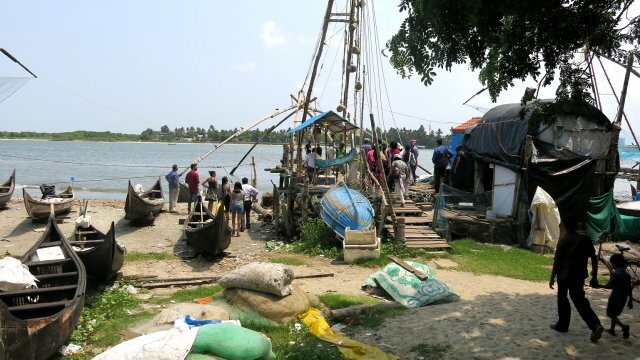 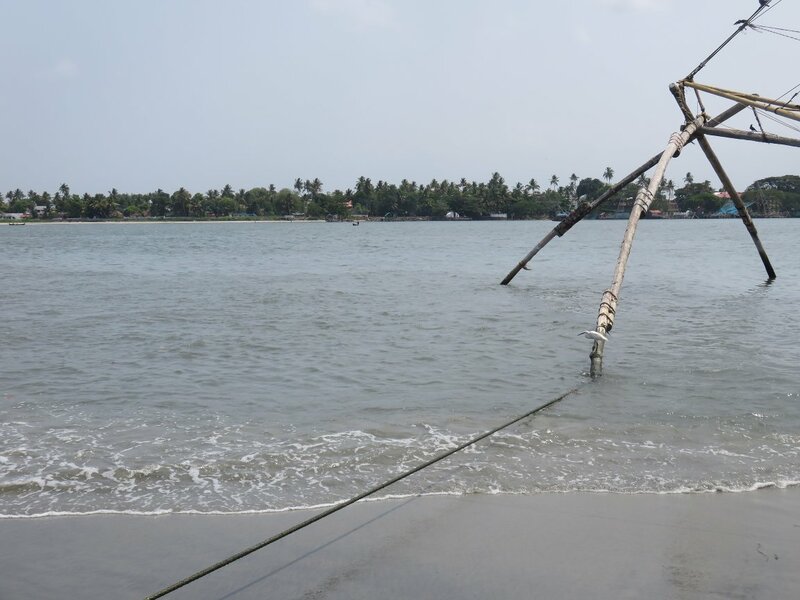 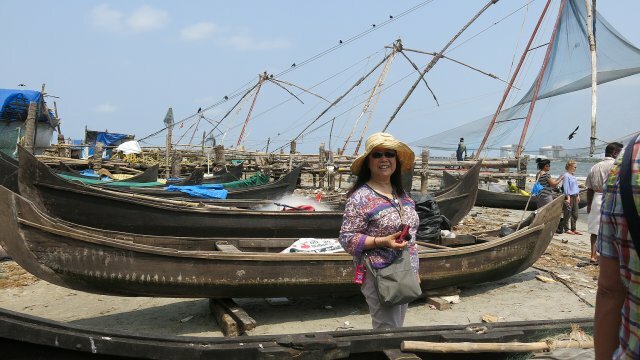 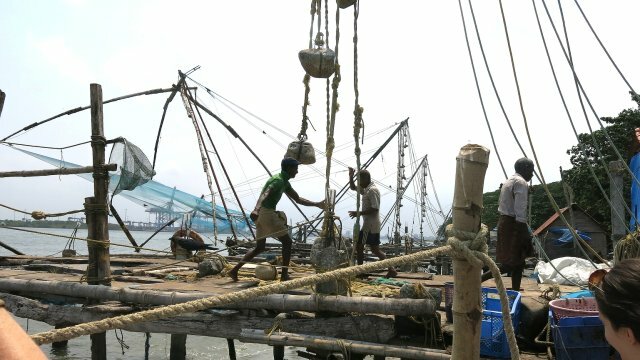 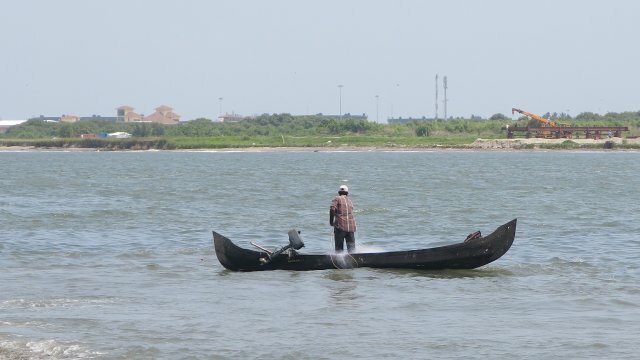 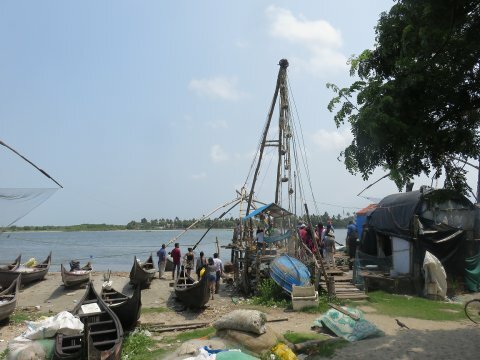 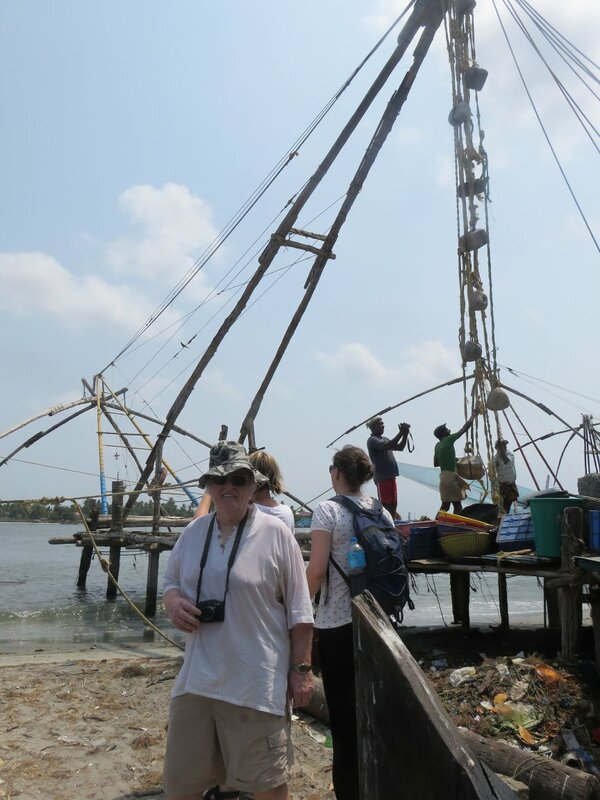 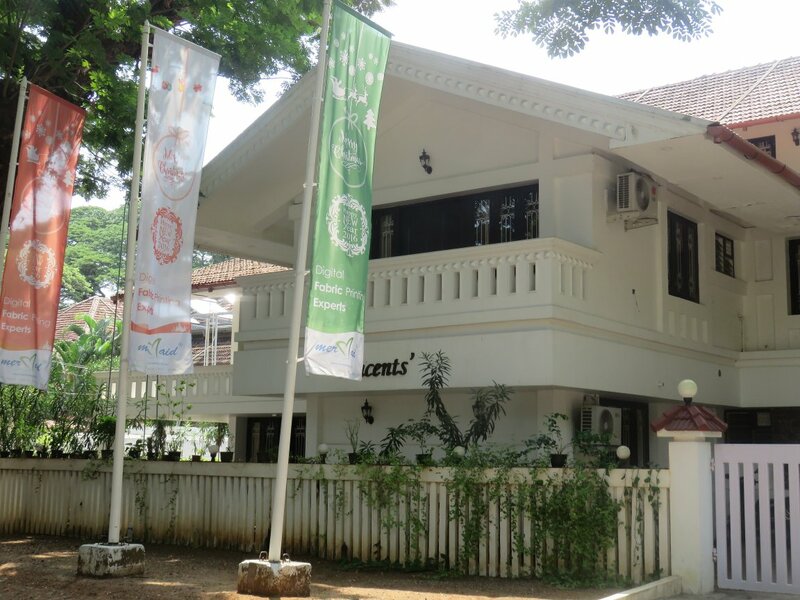 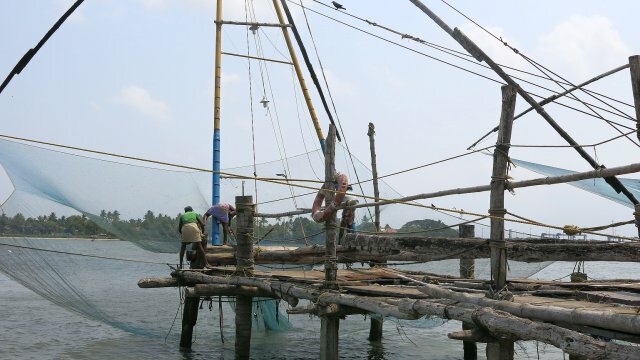 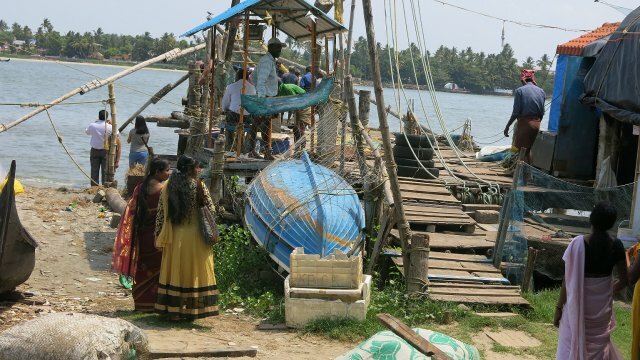 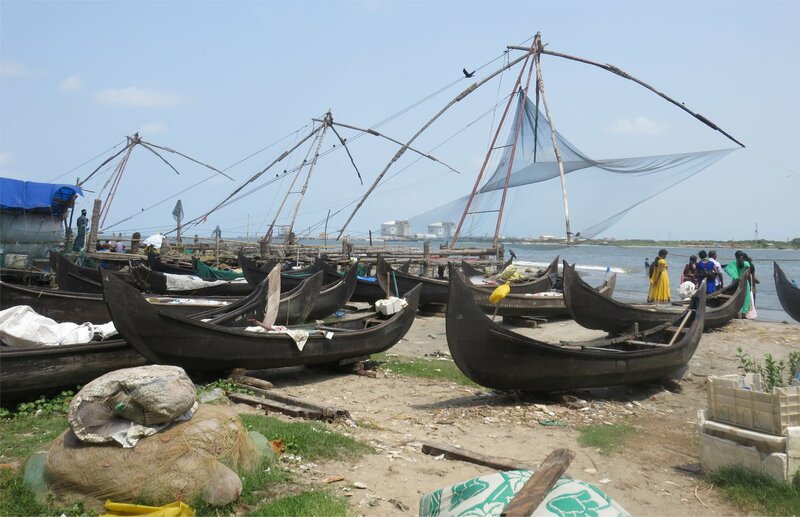 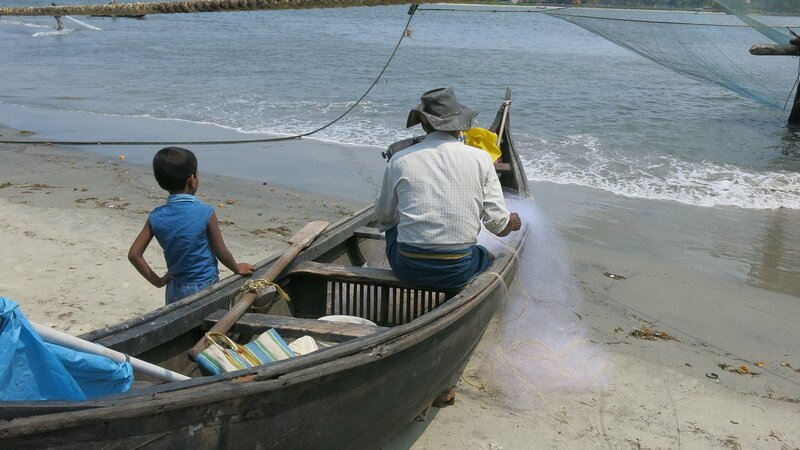 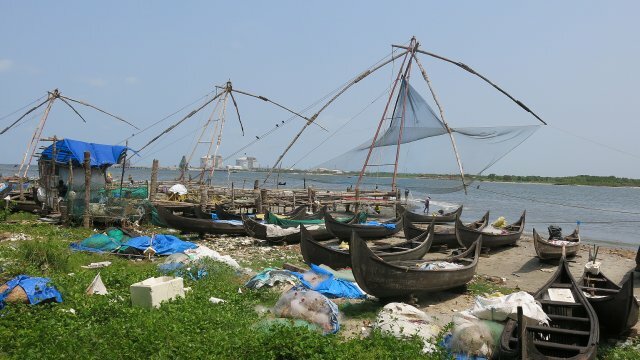 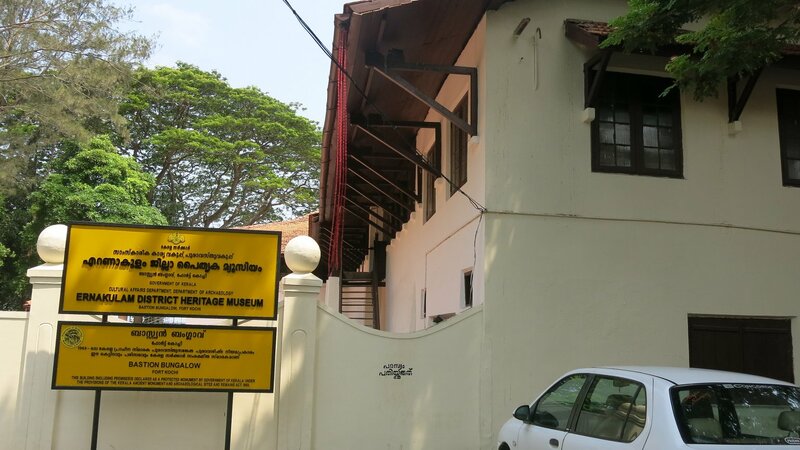 The fishing net were established on the Kochi shores between 1350 and 1450 AD. 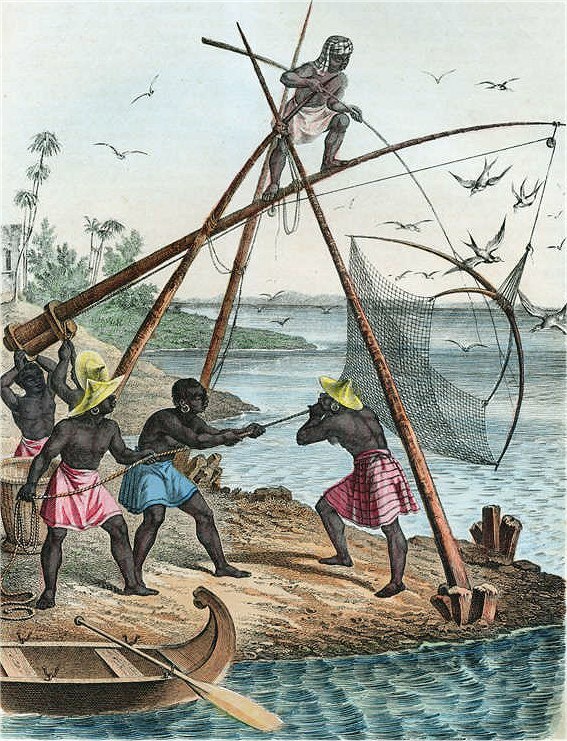 The Chinese Fishing Nets are shore operated lift nets, each measering about 10 metres in height, sustaining a cantilever with an outstretched net of 20 metres or more, suspended over the sea and large stones suspended from ropes as counterweights at the other end. They are constructed of teak wood and bamboo poles. 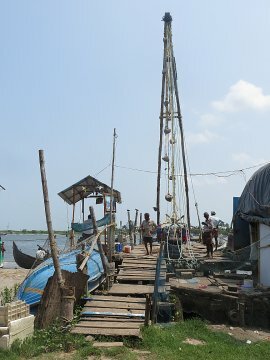 Many have lights, attached to the teak posts and are suspended above the net to attract fish. 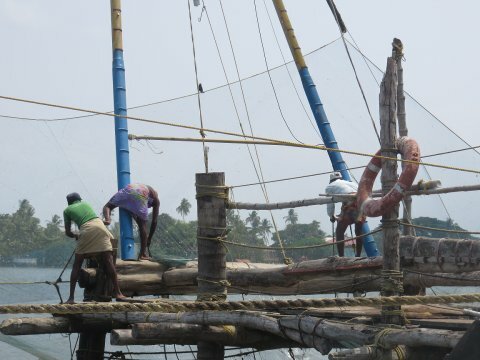 Each installation is operated by a team of up to six fishermen. 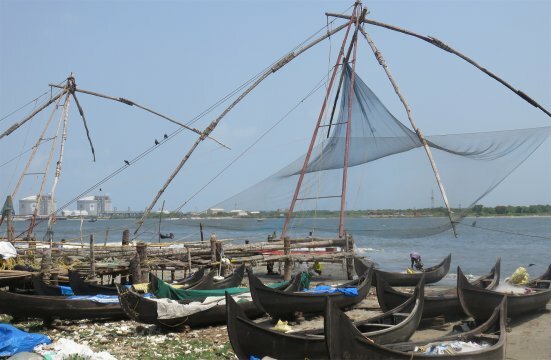 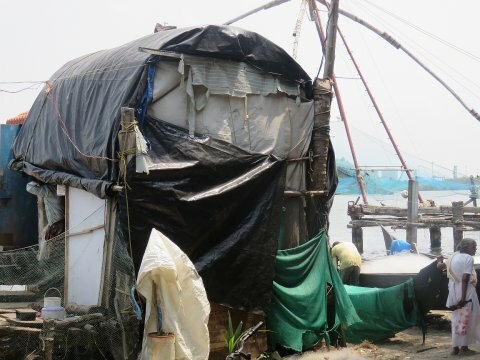 While such nets are used throughout coastal southern China and Indochina, in India they are mostly found in the Indian cities of Kochi and Kollam, where they have become a tourist attraction. 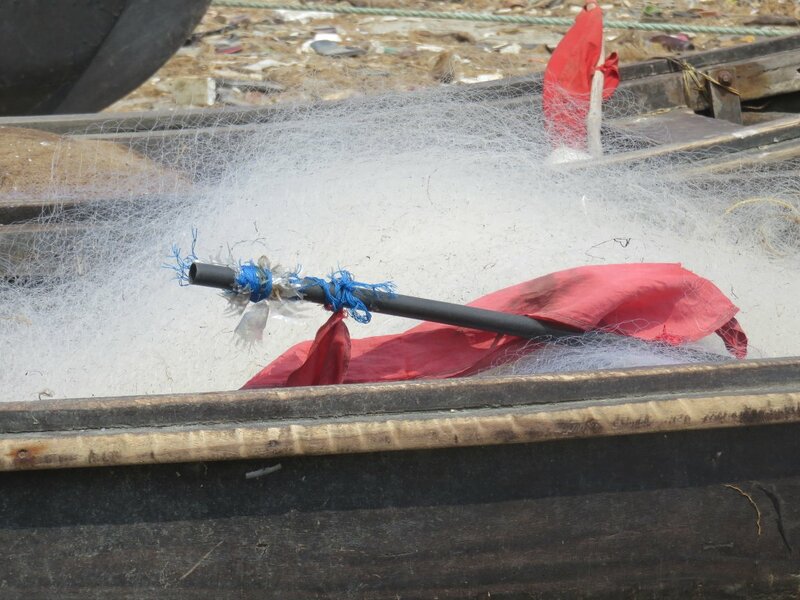 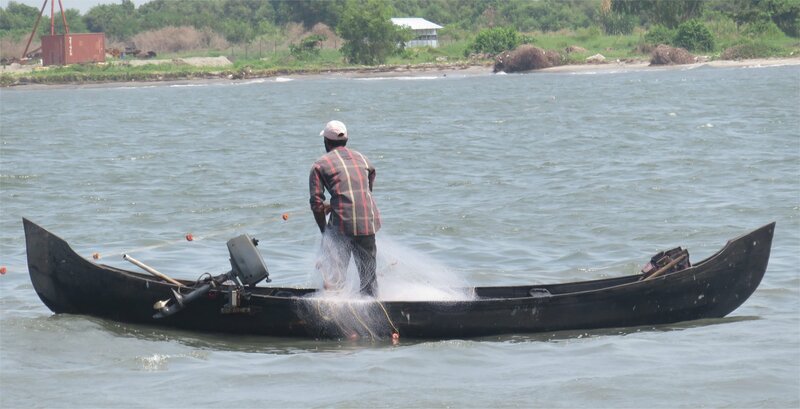 There are no Chinese fishermen working these, but it is still very effective method of fishing. 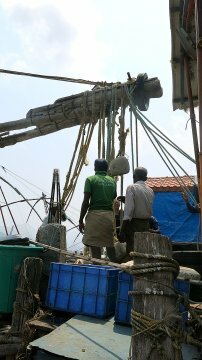 We watched one being lowered into the water and being raised up, using a series of rocks as weights. Amazing that such a primitive method is still being used these hundred years since.